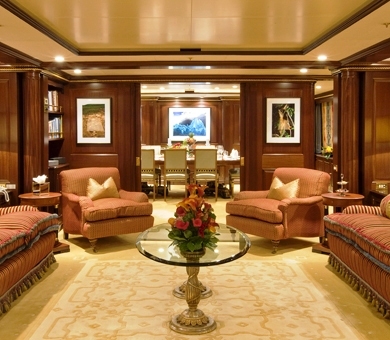 Luxury Motor yacht TELEOST is a 49 m (161ft) Displacement Feadship built in 1998 and has interior designs by John Munford. 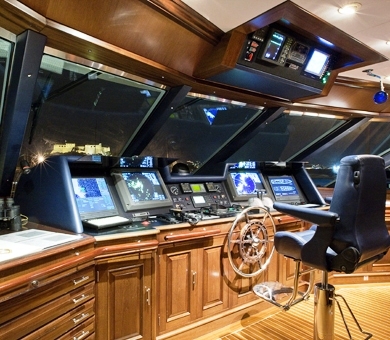 Teleost's latest refit in 2012/2013/2018 included an extensive refit, including the 5-year survey, new paintwork, as well as a substantial upgrade to her interiors. 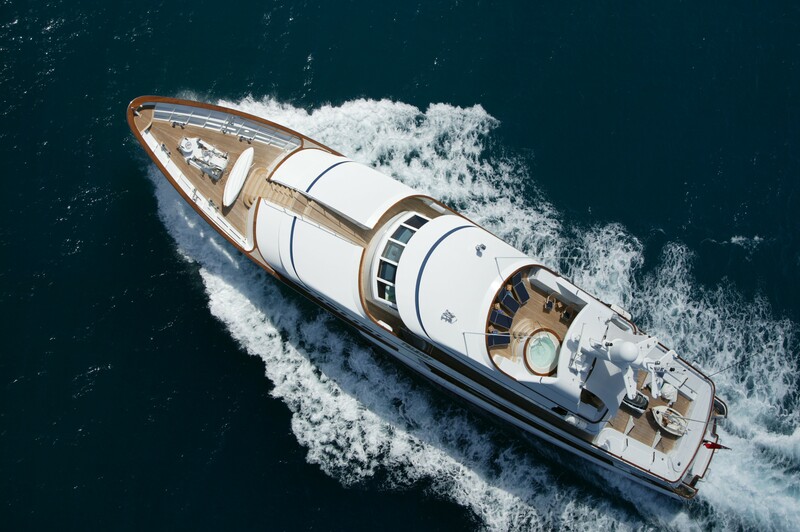 Teleost is viewed as one of the world's finest motor yachts, combining the best of modern technology with traditional design and craftsmanship. 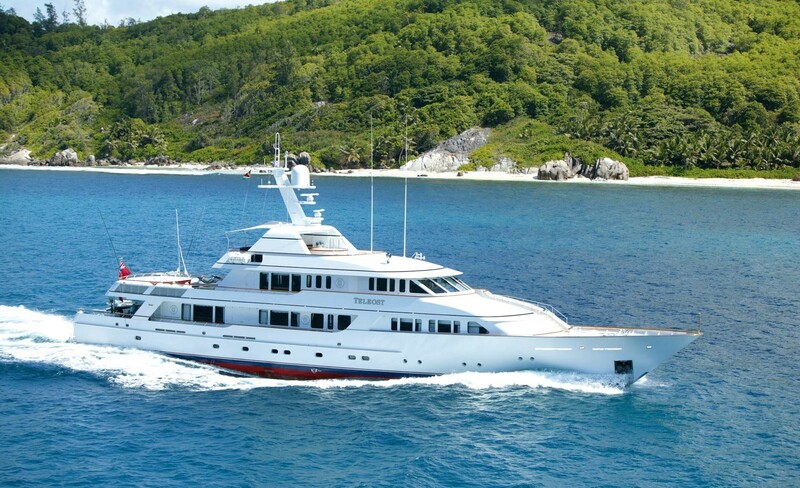 Her style matches those of the world's most sophisticated ports of call and is equipped for adventurous destinations far from civilization. 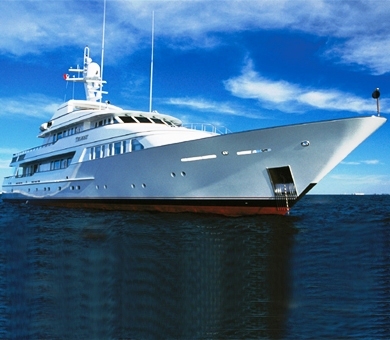 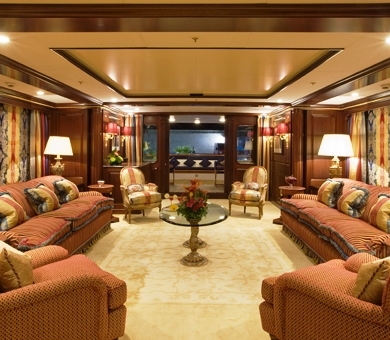 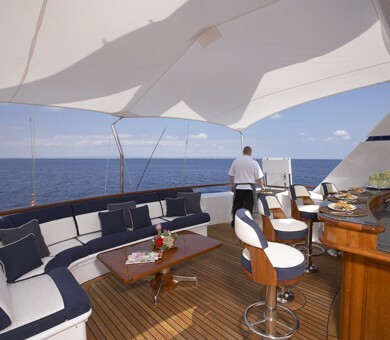 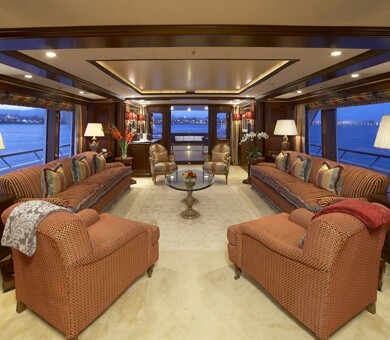 Motor yacht Teleost can accommodate 12 guests in 6 staterooms. 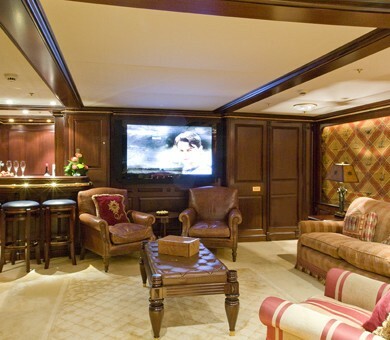 Her elegant yet comfortable Main Saloon located on the main deck is perfect for relaxing or enjoying the varied selection of Music, Board games, movie and book libraries. 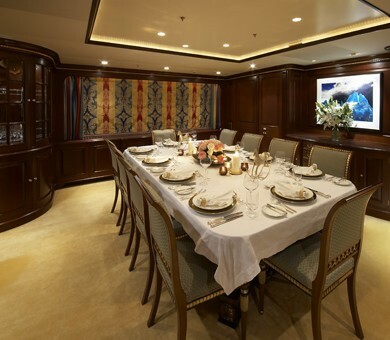 Teleost’s Dining room on the main deck forward has formal seating for 12 which can be enclosed with a recessed door. 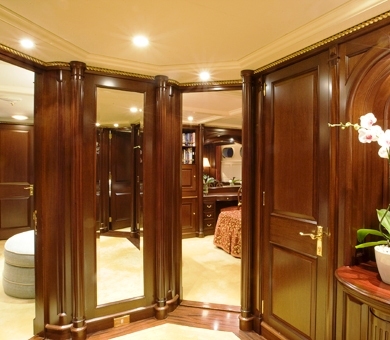 A Powder room is located just forward of the dining room for convenience. 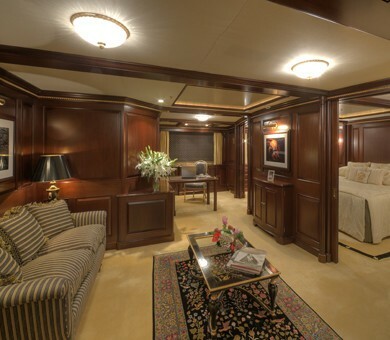 Her Skylounge on the upper deck has a TV/DVD, Wet bar and powder room forward, Dining for 12 with retractable awning. 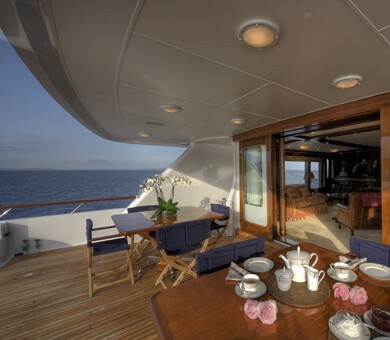 Outside, the ample aft deck has built-in stern seating with dining for 12 and a Wet bar. 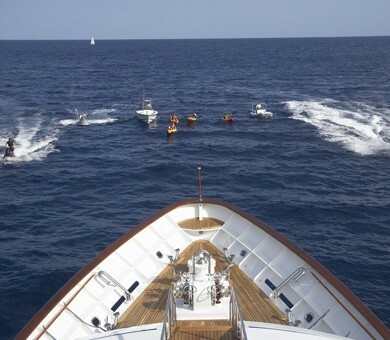 Boarding is possible via the stern passerelle or from the side. 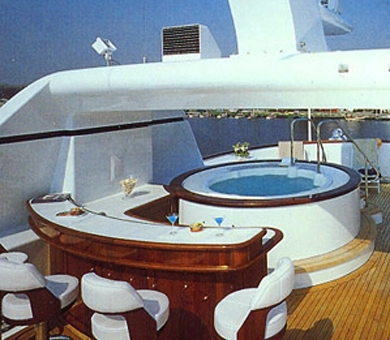 The swim platform with ladder is a great base for water sports and also has a large BBQ located on the platform. 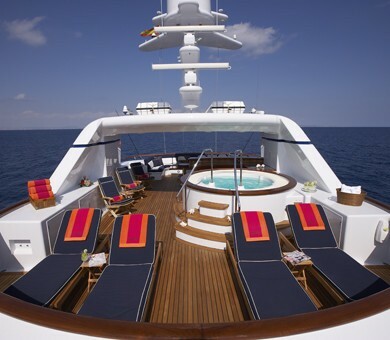 The Sundeck above boasts a Spa Pool, wet bar with 4 stools, built-in stern seating, awning, BBQ, 4 x sunbeds and 4 x sun chairs and panoramic views. 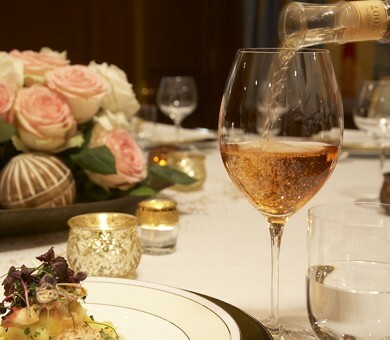 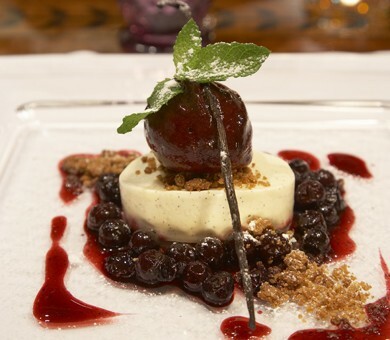 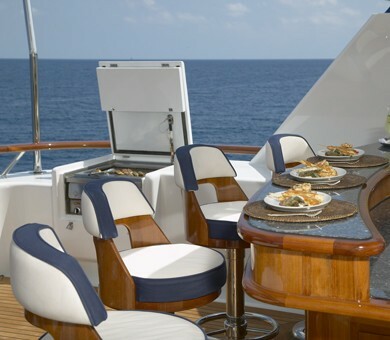 While on board Teleost you can depend on sumptuous cuisine prepared by the talented executive chef who is experienced in a wide range of world cuisines and will be happy accommodate dietary requirements. 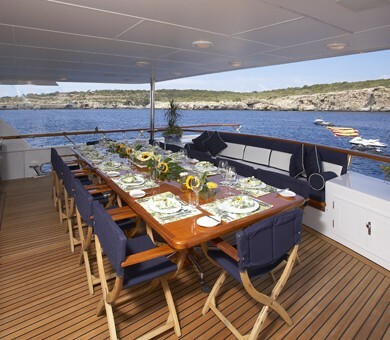 Enjoy formal dinners in the dining room or al fresco lunches on the deck prepared with the galley equipment that rivals that of the world's finest restaurants. 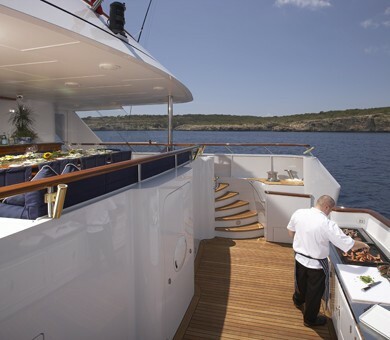 Alternatively, why not enjoy the aroma of your fresh catch of the day grilling on the swim platform BBQ! 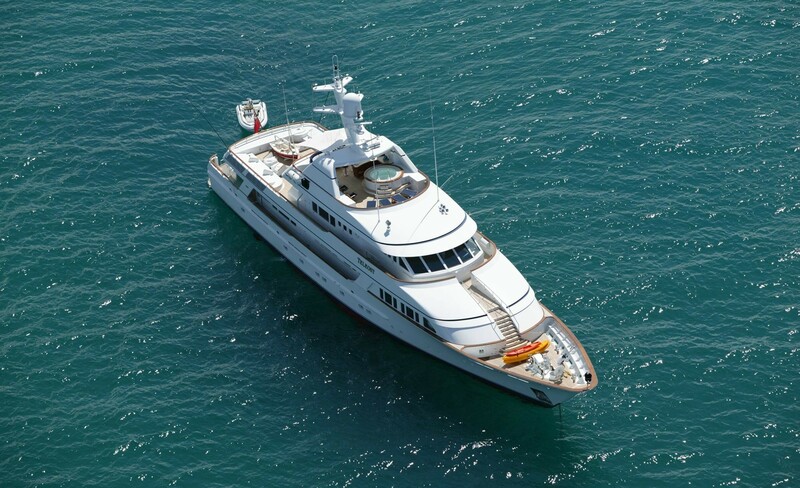 Teleost boasts an impressive array of water sports toys and the professional and caring crew of 10 are always on hand to assist. 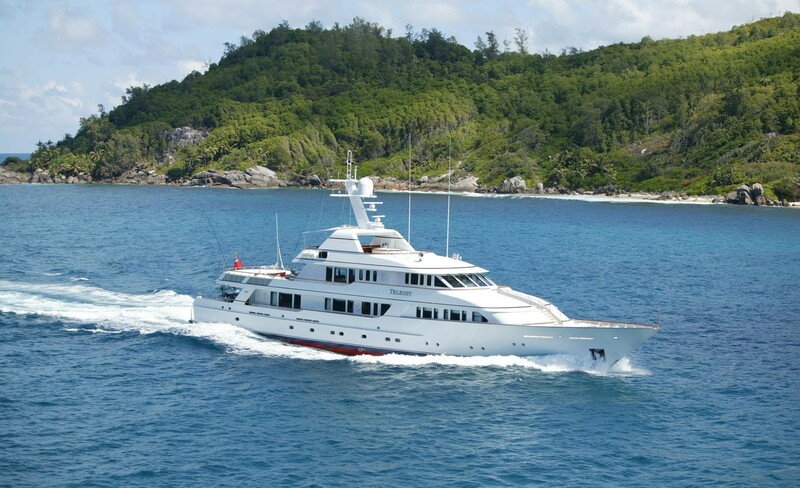 Teleost is a modern and luxurious motor yacht that offers high end service and adventurous activities in some of the worlds most pristine environments. 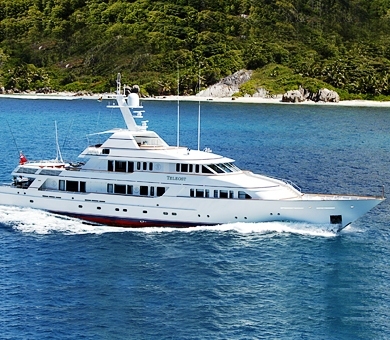 Please contact us for further information on her current location! 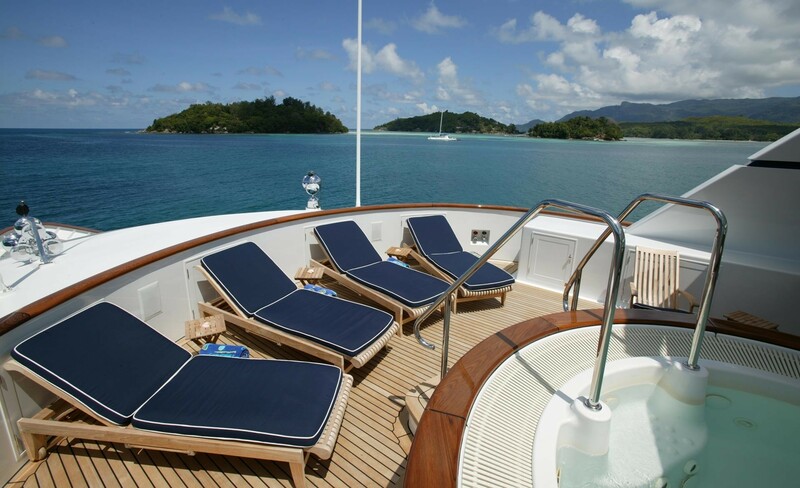 In 2012/2013, Teleost yacht underwent an extensive refit, which included a 5-year survey, new paintwork, as well as a substantial upgrade to her interiors. 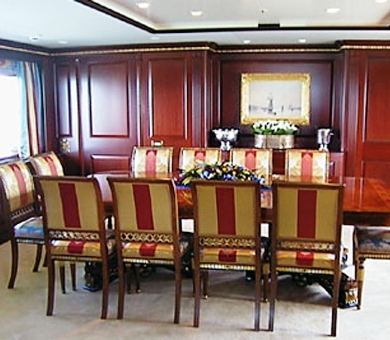 During the winter of 2007-08 Teleost underwent a refit which included a full paint job and new fabrics in the cabins. 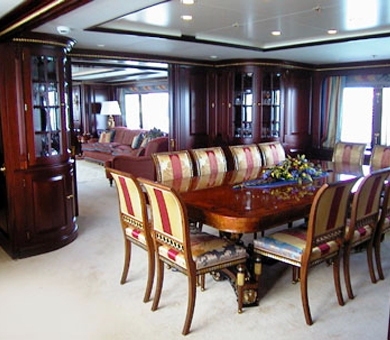 She has also had previous refit in 2002 and is impeccably maintained. 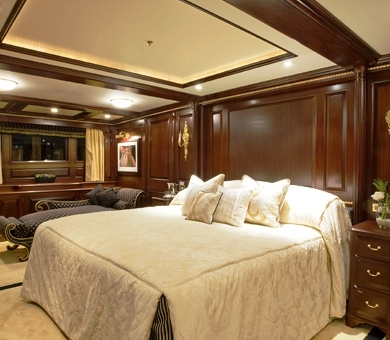 Luxury Motor Yacht Teleost can accommodate 12 guests in 3 double and twin staterooms. 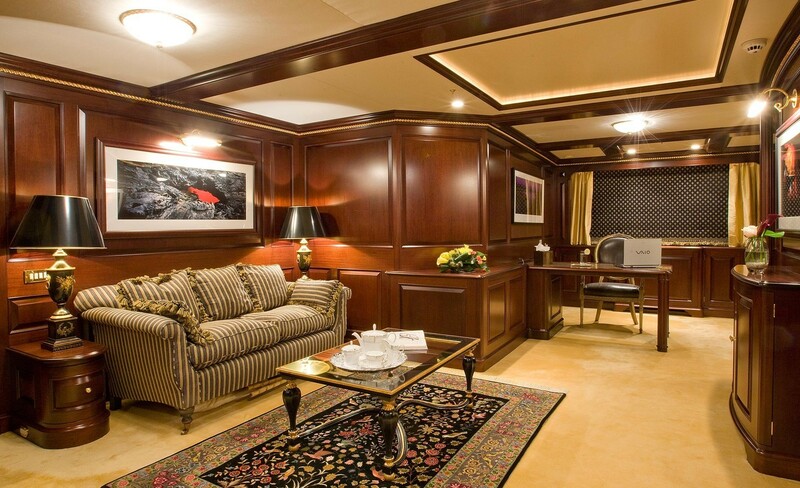 The luxurious master cabin is situated on the main deck and has a private lounge and study area as well as a grand bathroom with Spa Pool & shower. 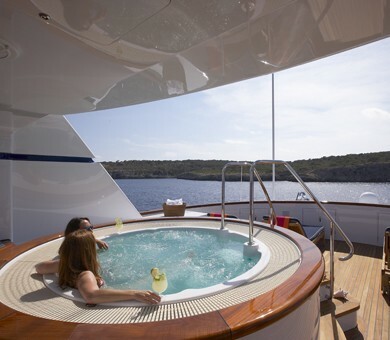 There are a further 2 double and two twin cabins all with a bath. 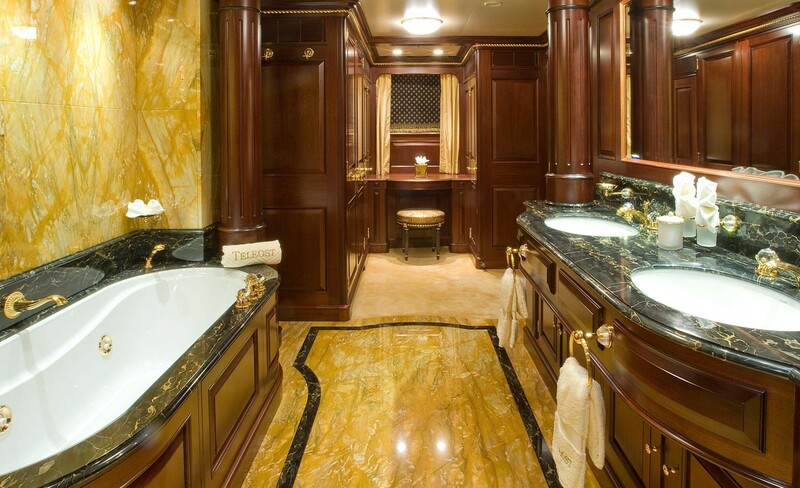 The third twin cabin has a shower. 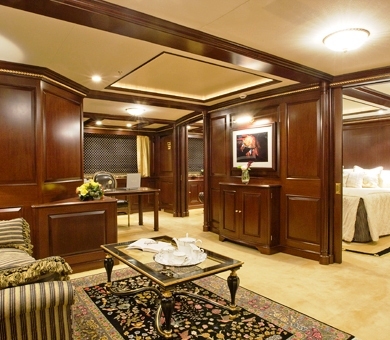 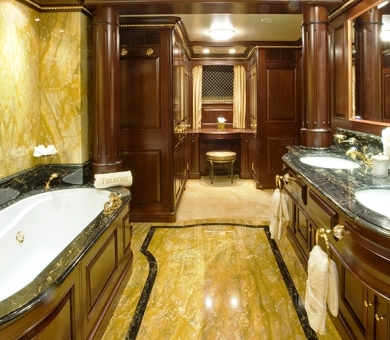 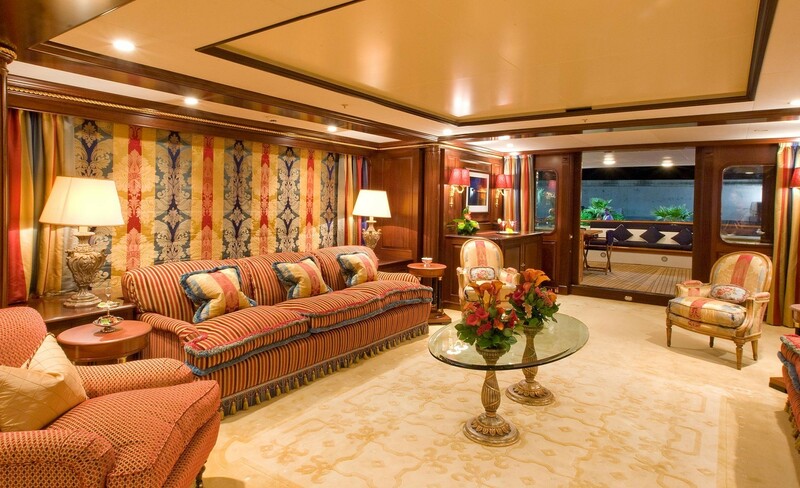 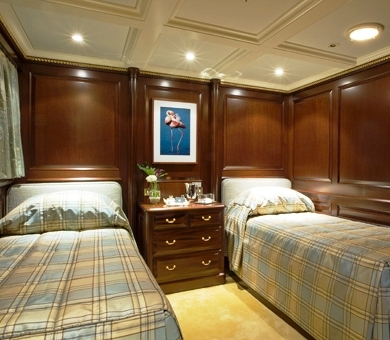 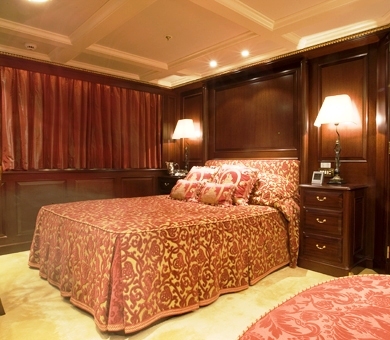 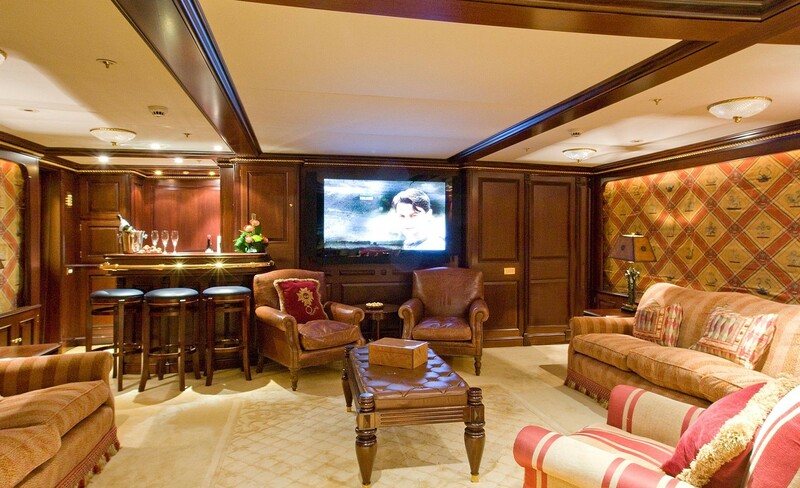 Each stateroom is constructed of the finest wood and marble. 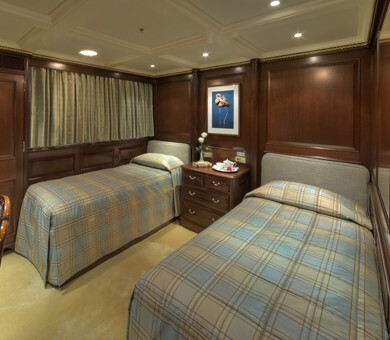 Each stateroom has TV and DVD.